← Young Professionals Shabbat Dinner under the Stars with JIC Israel and Guest Speaker Daniel Pomerantz, CEO of Honest Reporting! 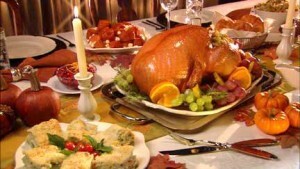 Annual Elegant Thanksgiving Shabbat Turkey Dinner! We are pleased to invite you to our Annual Elegant Shabbat Turkey Dinner in honor of Thanksgiving Weekend! ** Thanksgiving Turkeys on each table! ** Additional Orange delicacies with sugar, cinnamon and spice! ** Wine, Drinks & L’Chaim’s! Cost – Thanks to a Generous Donor – we are pleased to announce a price reduction! By Cash or Check – contact Pinchas at 052-457-7193. Deadline – Wednesday, November 21. Advanced registration only! Your reservation is complete only after payment!!! This entry was posted in Community, Events, Information, Learning, Shabbat. Bookmark the permalink.